4 Bedroom Detached House To Rent in Caterham for £2,300 per Calendar Month. This conveniently situated home is perfectly laid out for family living within the catchment area of several excellent local schools. Downstairs there is a good sized sitting room leading out to the mature rear garden through french doors. The dining room provides an excellent space for both entertaining and evening meals, and the kitchen with breakfast area. Upstairs there are four good sized bedrooms, the master with its own en suite, and a family bathroom with separate shower serves for the other three bedrooms. Outside, the front drive provides ample space to park two cars comfortably and a double garage gives plenty of storage options. Less that a mile to Caterham Station and only 2.6 miles from J6 of the M25 this property is in a great location for commuters travelling into and around London. 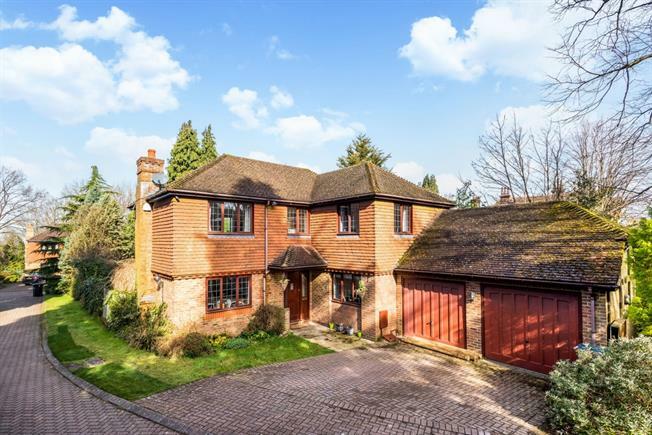 It stands within the Catchment area of several local comprehensive schools and is also only 0.7 miles from the renowned Caterham School located on the parallel road, Harestone Hill. The driveway offers parking for 2 cars comfortably. The rear garden which is mainly laid to lawn with some established and mature shrubs providing interest and privacy. There is also a patio area close to the house.